Serving Smiles, One Cupcake At a Time. One of my best friends wanted to use box cake for her wedding. I absolutely refused to allow her to do this. That was the start of experimenting making cake at home. Using filling was an easy way to elevate each cake, allowing me to be even more creative! With all the different samples I created, the taste testers were always excited that there was something inside, something unique that made every bite different. 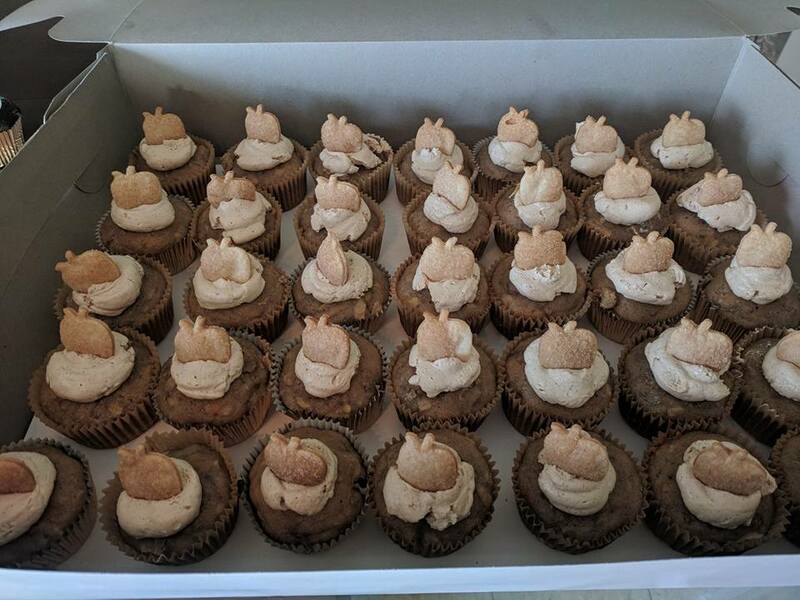 Cupcakes are perfect for every celebration. You don't need forks or knives or even plates! You can easily have multiple flavors to appease an entire crowd. 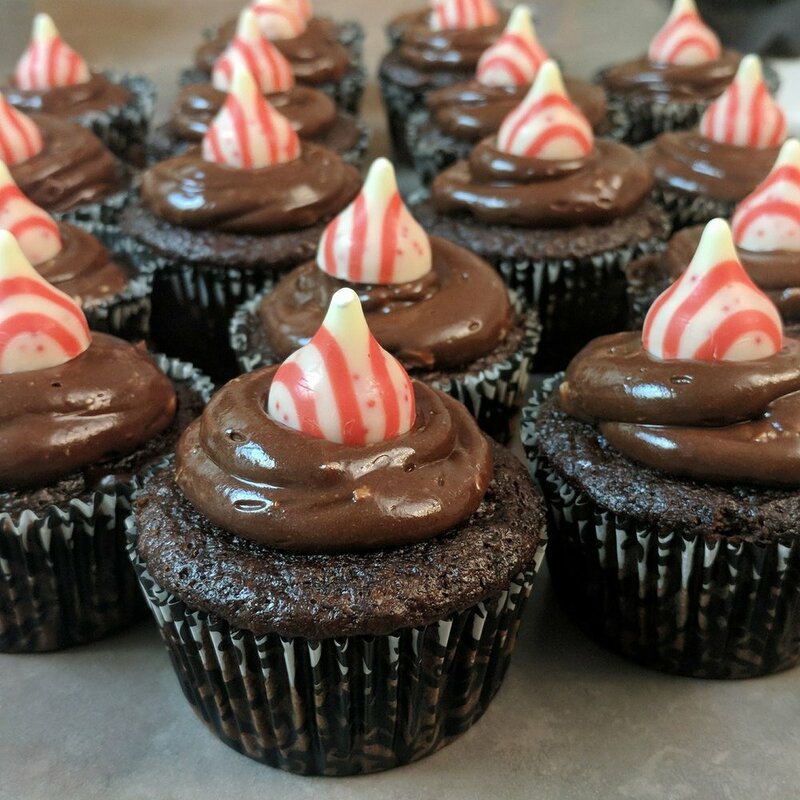 Filling’s mission is to use fresh ingredients to provide surprises and smiles in every cupcake, no matter what the reason someone would be eating it. Try Filling! It'll make you smile and warm in your heart. A flavorful peanut butter cake, filled with a berry jam, topped with a luscious peanut butter buttercream, garnished with a mini Nutter Butter dipped in jam. A chocolate cake, filled with edible chocolate chip cookie dough, topped with a caramel buttercream and garnished with a mini chocolate chip cookie. A soft very vanilla cake filled with a berry compote, topped with a berry cream cheese frosting. Red colored light chocolate cake, filled with mini chocolate chips and topped with the best cream cheese frosting ever. Orange flavored cake filled with orange whipped cream, topped with orange cream cheese frosting. Lemon cake filled with a raspberry compote and topped with a lemon raspberry buttercream. A light cinnamon cake filled with a chocolate ganache, topped with a mascarpone cream cheese frosting. 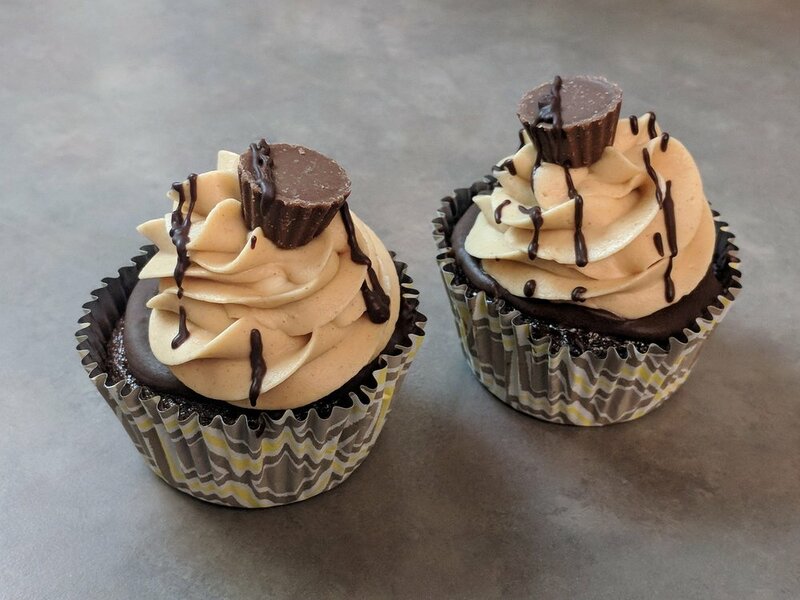 Chocolate cake with a peanut butter cup baked inside, topped with a dark chocolate ganache, peanut butter buttercream and garnished with a mini peanut butter cup. Call or message to build any custom creation special for your celebration. Filling is in the business of serving smiles! Please visit our social media sites to ensure you see the variety of products we can offer you.